James and Deborah Fallows have lived with their kids in Japan and China. Now they’ve decided that the future is in the United States. That’s after four years of flying from city to city in their light plane. They don’t shy away from allusions to Alexander De Tocqueville, Charles Dickens, Mark Twain or John Steinbeck. 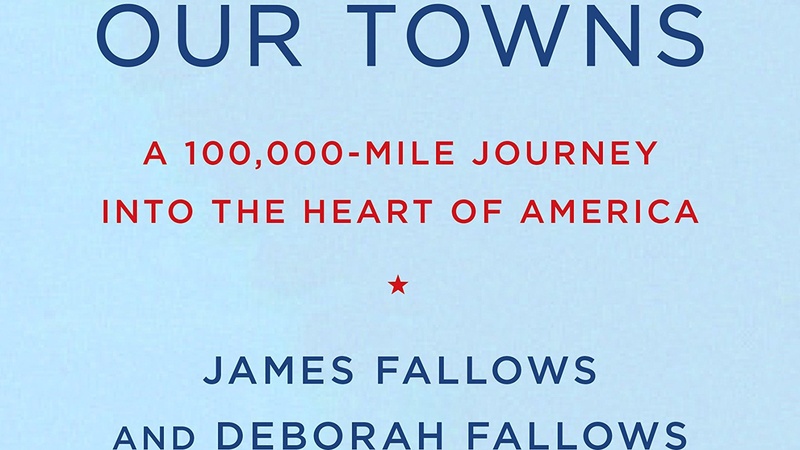 Their book title, “Our Towns,” is a reminder of Thornton Wilder. They regale Warren with stories from a range of local gathering spots: from schools, city council meetings and offices to YMCA swimming pools and micro-breweries.